There’s something about the remoteness and separateness of islands that makes them so appealing. 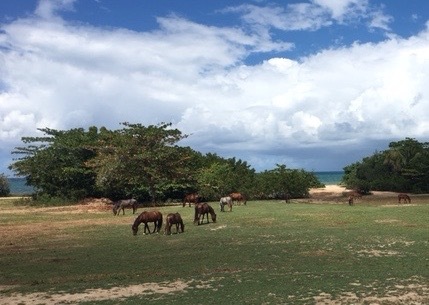 Vieques, off the southeastern coast of Puerto Rico is tiny, semi-arid and doesn’t have a single traffic light on its 20 miles of roads. 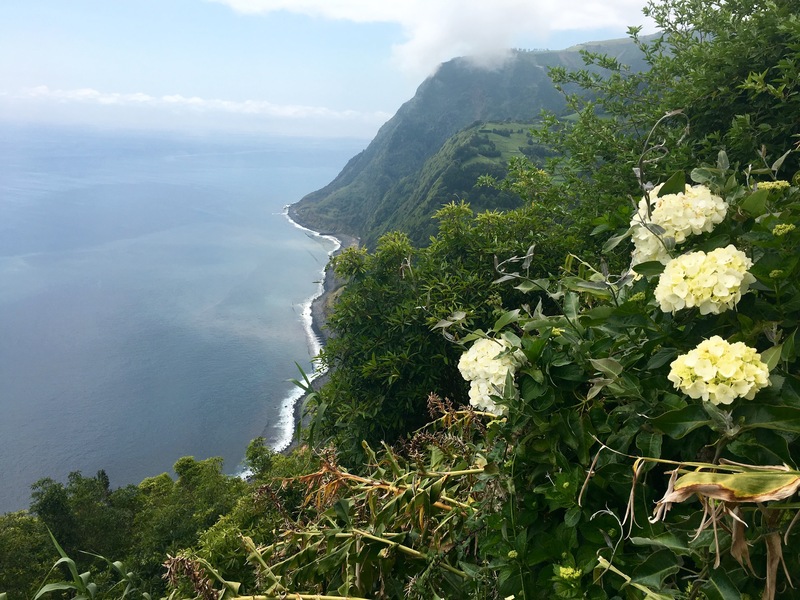 Sao Miguel, largest island in the Azores, 1000 miles west of Portugal in the Atlantic, could be a botanical garden. 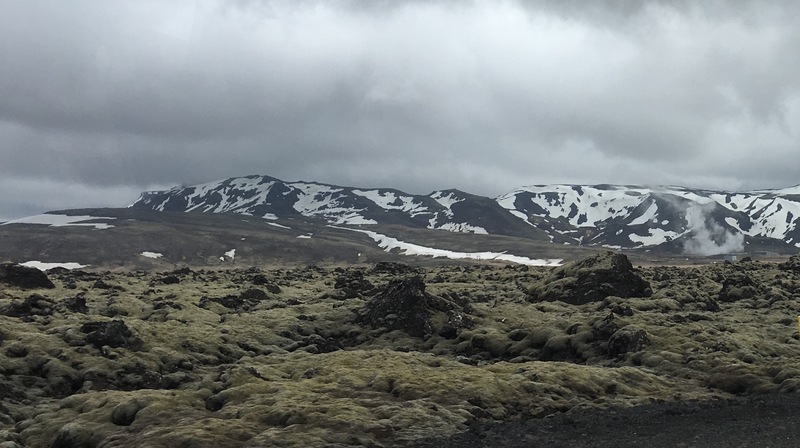 And Iceland, 1800 miles due north of Sao Miguel has the northernmost capital city in the world and sits on the rift between the North American and Eurasian tectonic plates. All three locales have become popular as travel destinations and are each, in their own way, a prisoner of their weather. 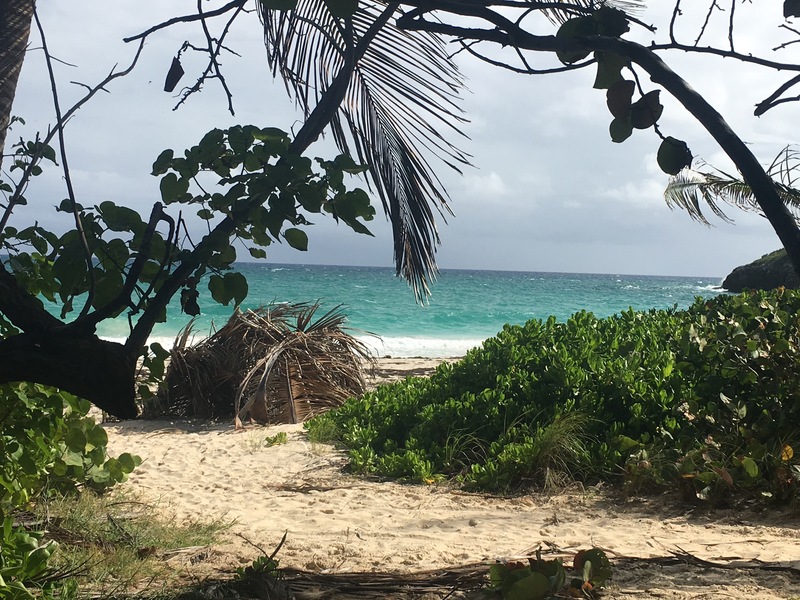 Vieques is predictably a beach destination and the beaches are as purist as you can get in these Atlantic waters. Sao Miguel (Azores) has no beaches, so perhaps it will be spared the rapid development that it might crave. It also has unpredictable weather that ranges from fog to sun to rain in the course of an hour – and that’s only on one tiny section of one island. 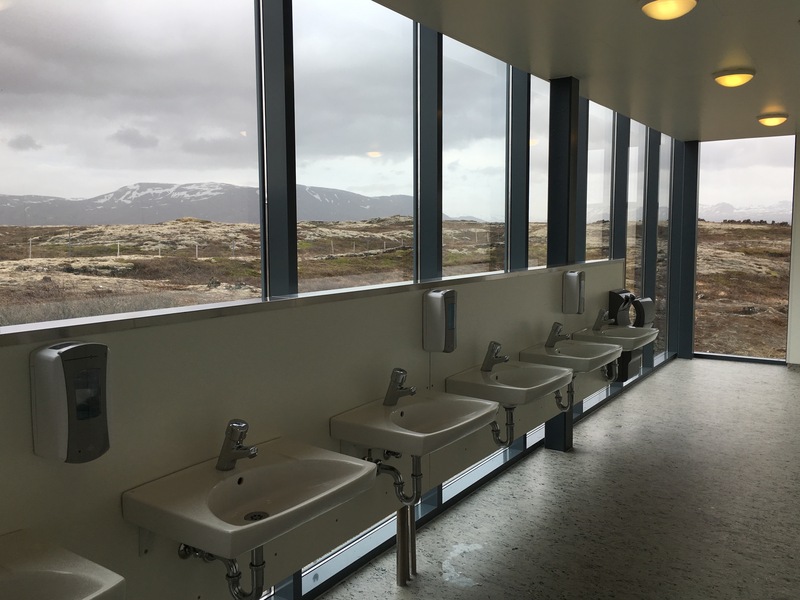 Iceland is – naturally – pretty cold. And monochromatic – various shades of black, brown and muted greens, when it’s not solid white. Icelandair and Game of Thrones have done a great PR job and people arrive in Reykjavik year round for midnight sun or the northern lights/nights. Being from a land of ice and snow myself, I confess to being unimpressed. The Icelandic language is evidently as close to middle English and Old Norse as exists. The population (300,000) is tightly homogenous, descending from Viking raiders (Norway, Denmark) who carried off Celtic women from the Western British Isles (Scotland, Wales, Ireland, Hebrides) and settled in the barren lava fields. It’s a testimomy to our recent ancestors that they roamed so far from their birthplaces to seek out the most inhospitable places on earth. How hard must life have been? The only animals that survive are the very woolly sheep and the small thick-coated Icelandic horse (and yes, they do eat them). And of course the fish. Still there, and still a huge source of income and dinner fare. Which is both excellent and expensive. Everything that can’t be grown in a greenhouse or as some form of hardy grain is imported. Bleak and bleaker. Majestic but bleak. 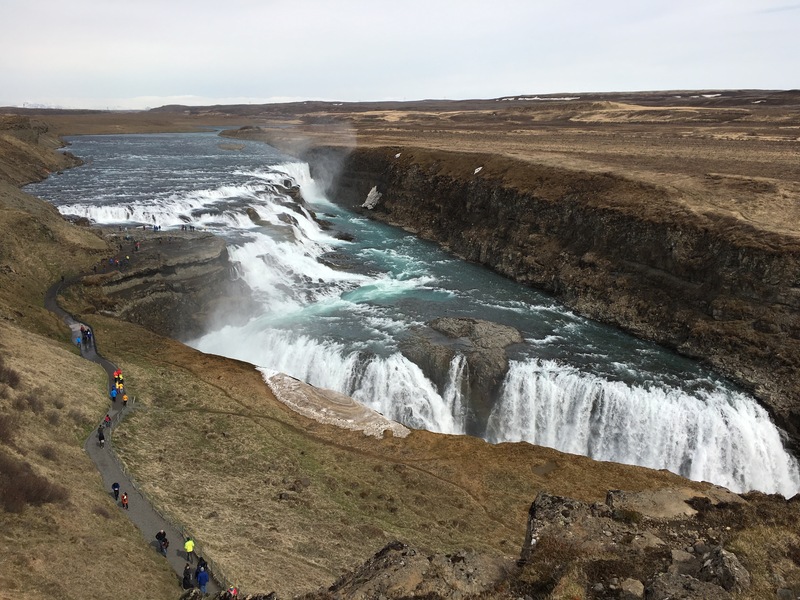 The mighty Guilfoss falls on the Golden Circle. Bleak. Majestic but… you guessed it: Bleak. 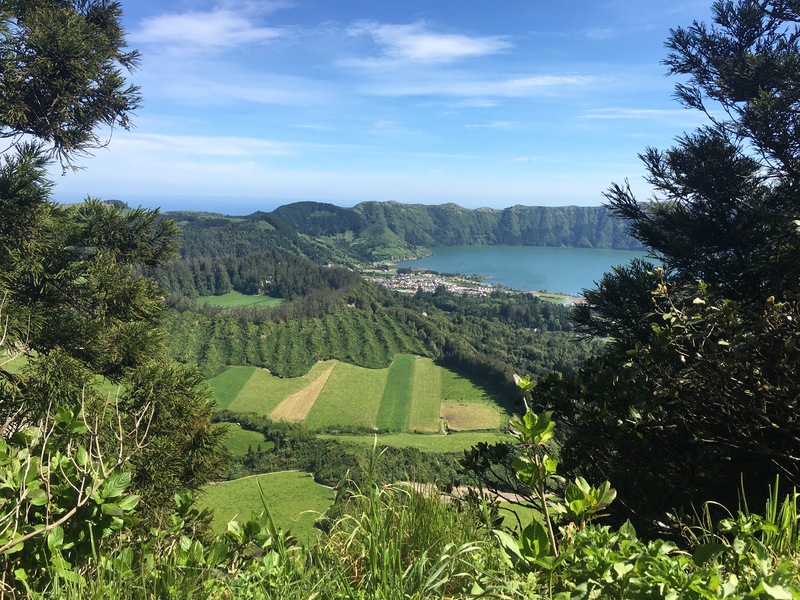 The Azores were uninhabited until Columbus used them as a stopover en route back from pillaging islands like Vieques. This seems bizarre as the Azores – as volcanic as Iceland, although not as active – were reputed to be the lost continent of Atlantis. But unlike Iceland, there are no traces of either human or large animal habitation until the Europeans arrived in the late 15th century (other than small mammals like bats and rodents). I found this fascinating: Why would Vikings end up in inhospitable Iceland but not in botanically temperate Azores? In early May the azaleas were almost over and the hydrangeas about to burst into bloom. 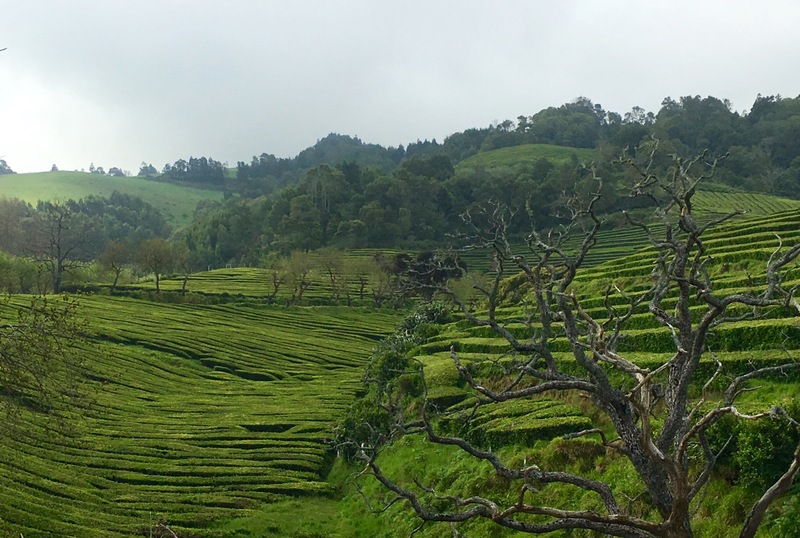 The only tea plantation in Europe. Are we in Indonesia? Yes, that’s a town at the bottom of that very steep hill in the midst of lava rock. The magnificent caldera with twin lakes; one blue and one green. 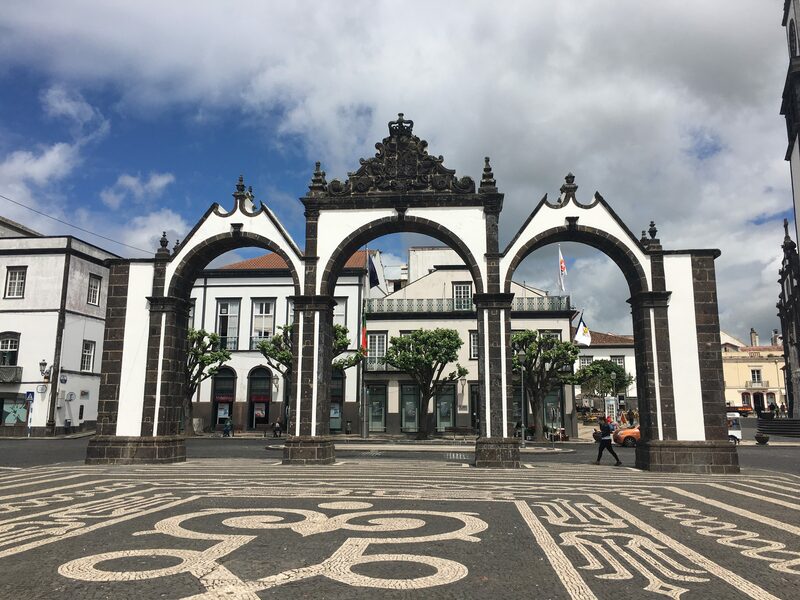 In full disclosure, I was only on one island, Sao Miguel – the largest, with the capital city of Ponta Delgada (population 17,000 of a total Azores population of 250,000). In May the weather vamped from sun to rain to fog back to sun on a whim, unveiling breathtaking scenery around every hairpin turn. One minute we’re on a tea plantation with terraced hills; now we’re on a bluff that looks like Cape Breton Island next to the lava field. 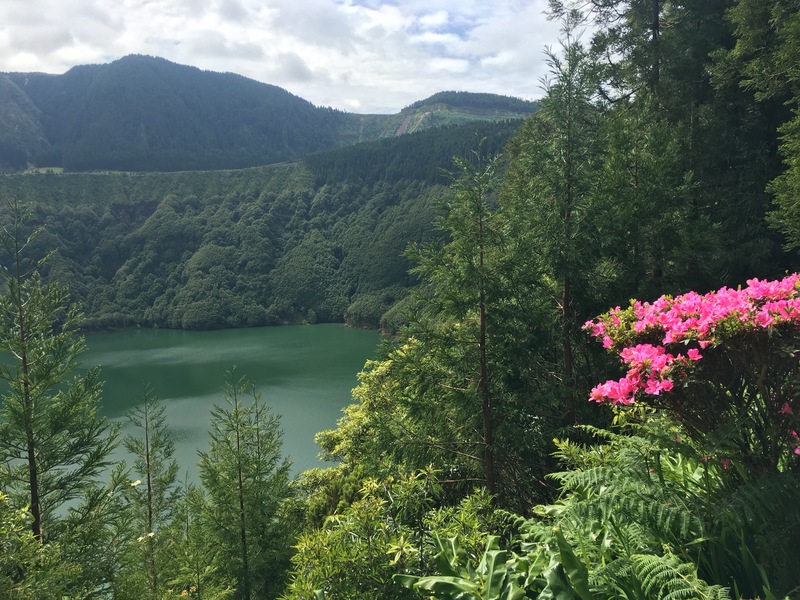 And here’s a caldera from a recent volcano with pink azaleas run riot around a blue, blue lake. 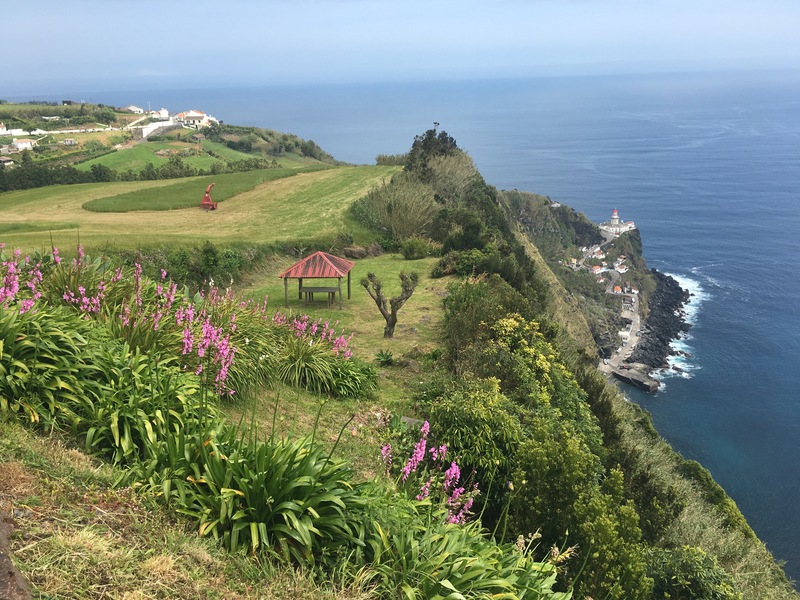 Similar to Iceland, the Azores is poised to be invaded, now that Ryan Air and Air Berlin are making daily flights to a place that just may not be ready to handle mass tourism. The locals are reserved and mostly familiar with visiting emigres as well as from Portugal.. Evidently the world is desperate to get to remote places that have hitherto been off limits. Hotel rooms in Reykjavik are booked through the summer of 2017. There are perhaps three hotels in Ponta Delgada and several hotel disasters in the making or recently abandoned and left to decay. As much as we promote progress, these gentle places could find themselves in danger of being loved to death. 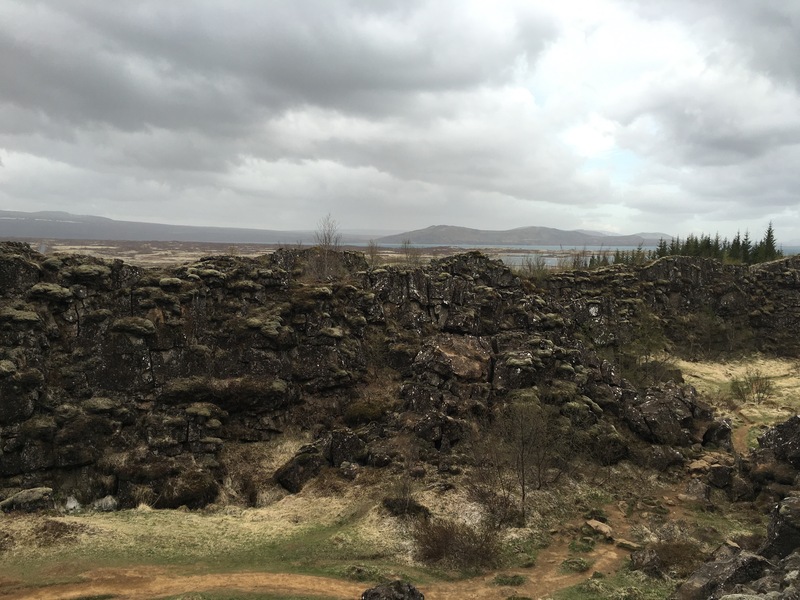 Interesting observations but I love Iceland’s bleakness! !